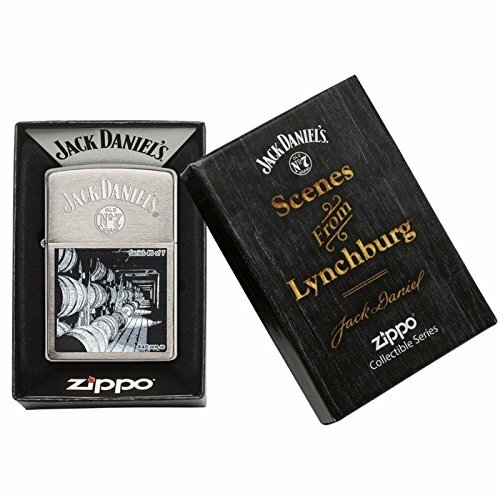 This is the sixth in a series of seven Zippo lighters depicting scenes from Lynchburg, Tennessee, home of the Jack Daniel Distillery. Barrel quality, location in the barrel house, and climate all influence how a whiskey matures. Age and maturity are factors in determining when a whiskey is ready, but the true test at the Jack Daniel Distillery is taste. 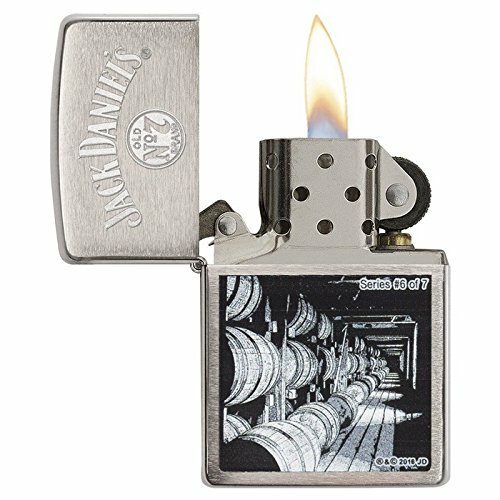 This brushed chrome lighter features the Jack Daniel’s Old No. 7 logo in lustre etch and the barrels of whiskey maturing in the barrel house in color imaging. Lustre, Color Image Imprint Method Brushed Chrome Finish Classic Case Lifetime guarantee Lighter comes unfilled. Use Zippo premium lighter fluid (sold separately) Genuine Zippo windproof lighter with distinctive Zippo “click” All metal construction; windproof design works virtually anywhere Refillable for a lifetime of use; for optimum performance, we recommend genuine Zippo premium lighter fluid, flints, and wicks These world famous lighters are made in the USA, feature wind resistant lighting and an unconditional lifetime guarantee. Measures 2 1/4″ x 1 7/16″ and includes gift box. 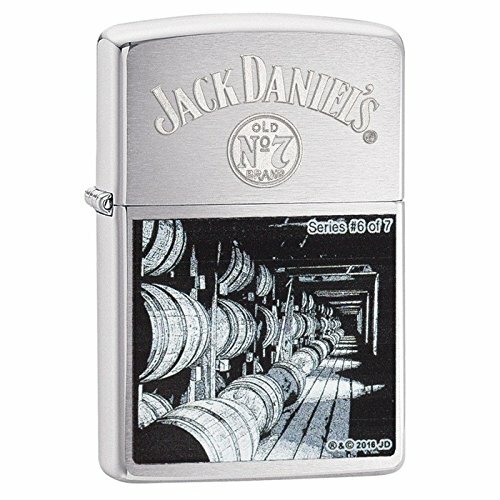 This Zippo lighter can be engraved with a personalized message in the font of your choice.